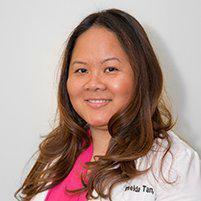 Dr. Imelda Tan, PT, DPT, CES helps patients in Midtown East and throughout Manhattan recover from fractures, using advanced techniques to help patients regain strength and mobility and avoid future injury. If you have any of these symptoms and especially if you have osteoporosis or another condition that means you're more at risk for breaking bones, you should schedule an appointment right away to be evaluated. Fractures require immediate evaluation and care. Treatment typically begins with an x-ray or other diagnostic imaging to evaluate the extent of the fracture and plan treatment. Depending on the type of fracture and whether one end of the bone has been displaced, repositioning of the bone (called reduction) may be needed to ensure the ends of the bone are properly aligned. Most fractures require casting, although some relatively minor fractures such as fractures of a finger may recover with splinting aimed at immobilizing the area while it heals. How can physical therapy help me heal? Physical therapy following a fracture can help you regain strength and mobility in the area so you regain range of motion and even prevent future damage to the area. When a fracture occurs due to a work, hobby or sports activity, Imelda can help you learn ways to engage in those activities so the risk of future fractures is reduced.